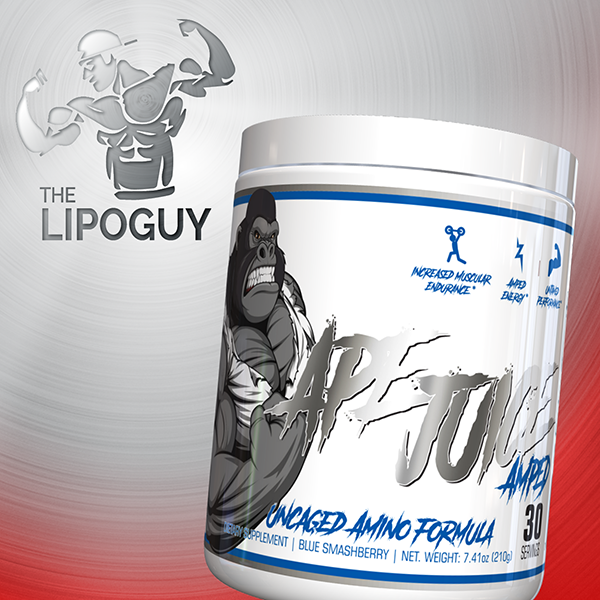 Untamed Labs Ape Juice Amped is a breakthrough in the energy amino acid supplement market. 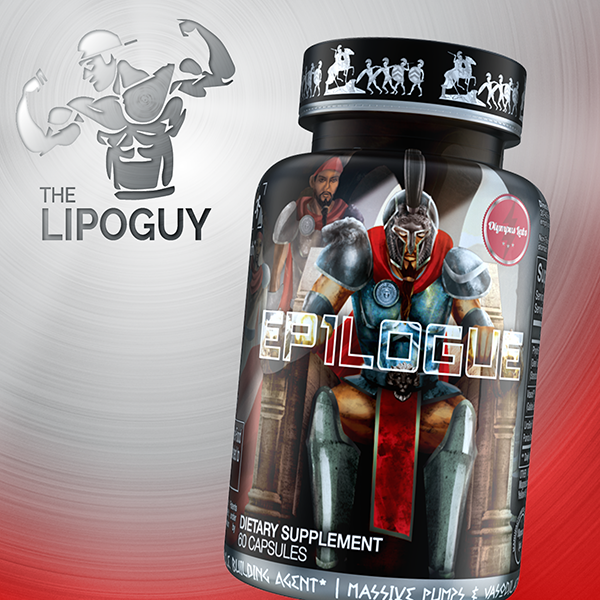 It includes rapid release energy boosters alongside extended-release energy aids to provide the user with a quick-hitting, yet long-lasting surge in energy that comes with absolutely zero crash or jittery side effects. Uncaged Amino Formula! 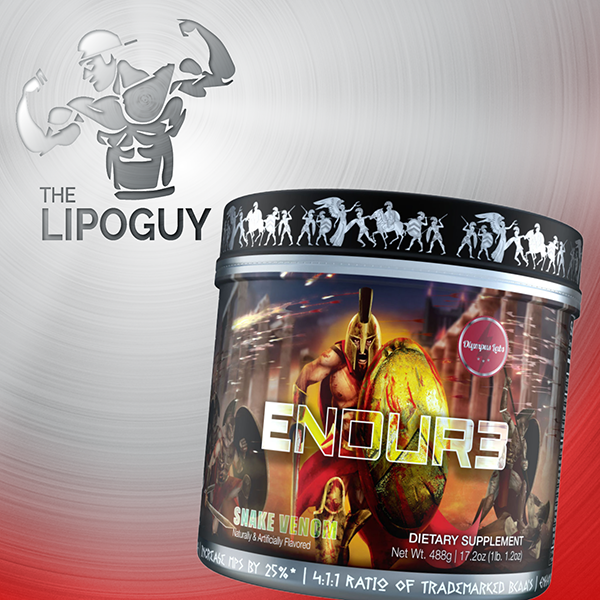 Increased Muscular Endurance, Amped Energy & Intense Performance! 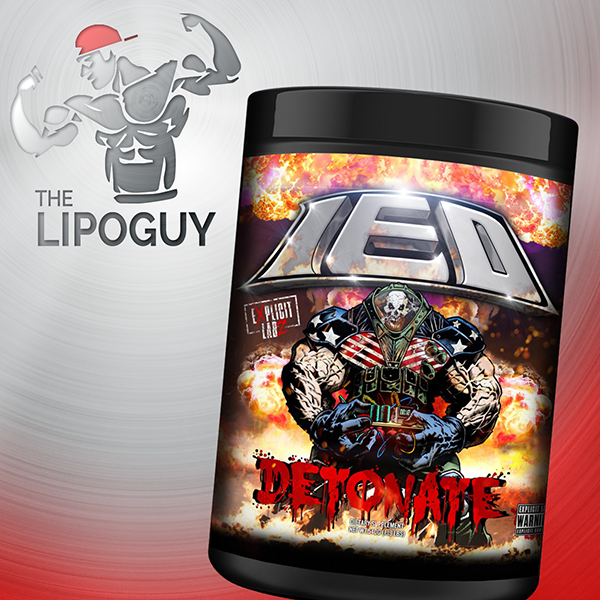 Untamed Labs Ape Juice Amped is a breakthrough in the energy amino acid supplement market. It includes rapid release energy boosters alongside extended-release energy aids to provide the user with a quick-hitting, yet long-lasting surge in energy that comes with absolutely zero crash or jittery side effects. In other words, Ape Juice is in a league of its own when dealing with energy boosting amino acid products. Untamed Labs Ape Juice Amped is a one-stop shop solution for increasing energy, muscle growth, recovery, and athletic performance. Each serving provides a robust blend of amino acids that will fuel the body’s natural muscle-building and repair processes for superior gains from your intense training sessions. You may have tried other energy amino supplements before, but nothing can match the power (and taste) of Ape Juice! First Thing in the Morning: Why waste time filling the coffee pot, brewing coffee, and cleaning the coffee pot for a single cup of coffee or worse spending $3+ at your local coffee shop just for a single cup of coffee. Ape Juice provides a delicious and energizing way to start your day that requires no clean up and is much more affordable than the big chain coffee houses. Pre Workout: Untamed Labs Ape Juice Amped contains a very modest amount of caffeine that makes it ideally suited to use as a low stim pre workout if you’re sensitive to caffeine or training late at night. 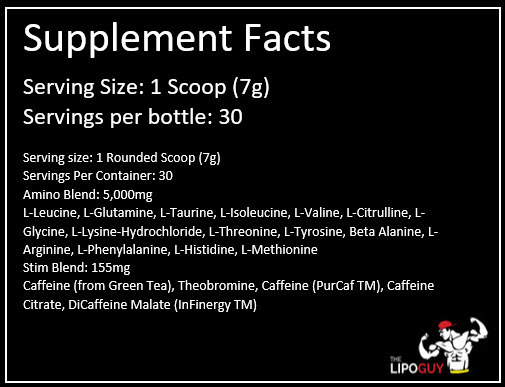 It can also be stacked with a non-stim pre workout or other low stim pre workout for those times when you need an extra kick. Intra Workout: Untamed Labs Ape Juice Amped contains valuable performance enhancers including Taurine, Citrulline, and Beta Alanine, along with the BCAAs leucine, isoleucine, and valine, which help promote strength, endurance, stamina, and power no matter what type of training you’re doing. Post Workout: Sometimes a particular workout is so intense you need all the help you can getting out of the gym. One serving of Untamed Labs Ape Juice Amped will help kickstart the muscle repair and recovery process and give you the energy to get out of the gym and on your way home! During the Day: Everyone hits those afternoon lulls at work, when you’re staring at the clock, grinding out those last few hours before quitting time. Rather than get yet another cup of bitter, burnt tasting coffee, enjoy a scoop of delicious Untamed Labs Ape Juice Amped. It’s provides a superior energy boost than coffee and provides a full spectrum of amino acids to support muscle growth and repair. Working and Studying: Ape Juice also functions as a perfect productivity supplement thanks to the inclusion of Glycine, Tyrosine, and Phenylalanine, three vital amino acids that enhance production of critical focus-boosting neurotransmitters such as epinephrine. You’ll get more done, faster and better with a helping of Ape Juice. As you can see, there isn’t an occasion where Untamed Labs Ape Juice Amped won’t work. It’s unique formula makes it incredibly versatile and ideal no matter what the situation calls for. Morning, noon, or night, Ape Juice delivers what you need, when you need it! On training days, take 1 scoop approximately 30 minutes before your workout. Not for use by individuals under the age of 18 years. Do not use if you are pregnant or nursing. Individuals who consume caffeine with this product may experience serious adverse health effects. Individuals who are sensitive to the effects of caffeine should consult a licensed healthcare professional before consuming this product.